Research focused on raw material, process technology and new or improved products and qualities. High yield pulp (HYP) is produced at a yield over 85% from different pulpwoods or annual plants by means of mechanical or combined chemical and mechanical unit processes. The research area is of high industrial importance. 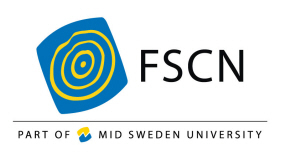 All Swedish and Norwegian forest industry companies producing high yield pulps, the world’s primary machine suppliers as well as a number of chemical suppliers are all cooperating together with the HYP research group within FSCN in several projects. We believe high yield pulps to be a future key material in sustainable products and our mission is to potentiate an increased usage of high yield pulps, even though the demand for newsprint paper grades is drastically decreasing. The research is focused on our primary goals, i.e., helping our industry partners to a new and improved level of knowledge with regard to process efficiency and product development. In order to succeed, we work in a multidisciplinary way engaging university researchers and industry experts in areas ranging from wood and fibre chemistry, paper technology, chemical and mechanical engineering to material physics and control engineering. Understanding the properties of the wood matrix and wood polymers is important already in the chipping process where energy efficiency in the following refining stages can be improved if the chipping process is optimized. Similarly, knowledge of how wood polymers can be softened and swelled by thermal, mechanical and chemical pre-treatments under relevant process conditions is needed to be able to drastically improve process efficiency in refining. Chip refining is responsible for more than 60% of the electric energy consumption in most HYP processes. Increasing refining efficiency is therefore crucial. Examples of projects in this area are focusing on refiner stability and control, replacing part of the high consistency refining by low consistency refining, pre-treatment in combination with intensified refining and developing radically new segment designs for small refiner gaps. To make it possible to replace low yield bleached chemical pulps in various products it is essential to reach higher brightness maxima and reduce chemical costs in HYP bleaching. In order to enable a broader use of pulps produced with known low energy refining techniques we also study new combinations of multilayer techniques that can improve the strength properties of the final product. Moreover we are studying the possibilities of rejecting fibre and fines materials detrimental to final product properties from the main line enhancing product quality. The possibilities of utilizing these rejects for more unconventional new purposes are studied in parallel.